Following a very solid and thorough hiring process, the Waterloo Region Suicide Prevention Council is delighted to announce that Elisa Brewer-Singh has been selected as the new Executive Director. She will undertake the position in January with mentoring support from our outgoing Executive Director Tana Nash until the end of March, and taking the reins in April. Elisa is a very familiar face to the council and to our community. She began as a volunteer in 2012 where she helped to develop and facilitate an annual strength based day for youth accessing services at Lutherwood called “My Life Matters Day.” She also volunteered her time as a co-facilitator of our monthly open bereavement peer-led support group Side by Side in addition to facilitating the nine week structured Why? Support after a Suicide Loss bereavement group exercising her Masters of Arts in Spiritual Care and Counselling and drawing upon her years of experience in the mental health field and implementing trauma informed programming. Since July of 2016, Elisa has been the Program Coordinator for WRSPC and in a short time has become a staple of the council and the suicide prevention community. She has chaired the World Suicide Prevention Day committee, co-chaired the Hospital Resource Priority, managed our many volunteers, co-hosted the youth suicide prevention conference this past summer and is our region’s representative at the Ontario level as an executive board member of the Ontario Association for Suicide Prevention. 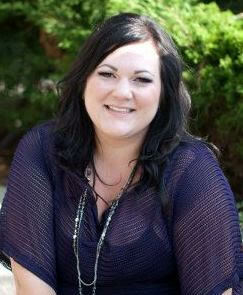 Elisa is also instrumental in managing the suicide bereavement support groups. Please join us in congratulating Elisa.